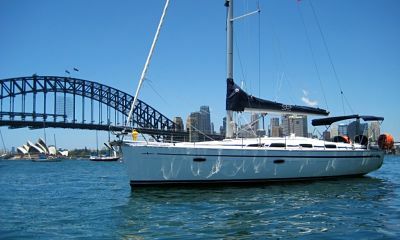 Sydney, Australia tops the lists of boaters everywhere as one of their dream destinations. While there are a plethora of exceptional boating locales around the city, there are a few that stand out as must-sees. Sydney is considered to be one of the world’s greatest playgrounds. Boaters are particularly drawn to it due to its spacious harbor and proximity to many sheltered coves, beautiful bays, and idyllic beaches. In truth, there is so much to see and experience in Sydney that more than one boat trip is necessary. 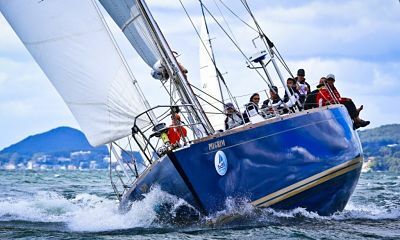 If you want to narrow down the extensive list of incredible locales you have to choose from, then consider boating around these stellar areas first to get a sense of what Sydney can offer an intrepid boater. Situated in the heart of Sydney, The Rocks is a legendary area that makes up the hub of the city. Comprised of equal parts historic district, urban center, and tourist mecca, this is where you can go to experience a bit of the best of Sydney. Established around 1788, it was once considered a slum — a haven for vagrants until the 1870s. Now it is a thriving metropolis, peppered with restored historic buildings. If you like being at the heart of frenetic activity, then you will love The Rocks. Cobbled lanes with street-side cafes give way to art galleries, designer clothing stores, and opal distributors. Historic walks abound, and The Rocks Market is open on weekends — featuring over 100 stalls where local artisans and merchants can peddle their wares. If science and history are your great loves right up there with your passion for boating, then you will find much in The Rocks to pique your interest. 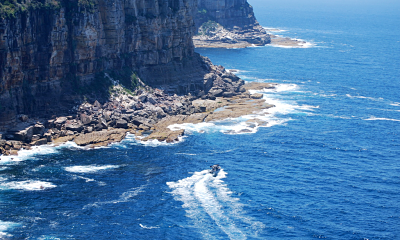 Check out the Sydney Observatory, The Rocks Discovery Museum, or the SEA LIFE Sydney Aquarium. If you are craving a cultural experience, the world-renowned Sydney Opera House is just a hop across Sydney Cove to the east. If you want to stretch your legs on land after a day on the water, there are numerous parks in the area, including Dawes Point Park, the new Barangaroo Reserve, and Observatory Hill Park. As a boater, you will find the historic ships in Circular Quay to be of particular interest. There are four active historic ships in the fleet — a historic timber ferry, Wangi Queen, which was built in 1922, and three historic tall ships: the Southern Swan (a three-masted barquentine built in Denmark in 1922), the Soren Larsen (a two-masted brigantine built in Denmark in 1949), and the Coral Trekker (a tall ship with tanbark sails built in Norway in 1939). Sydney Wharf Marina (in Cockle Bay to the west) which features 54 private berths for lease or purchase, power and water hookups, and black water pump out. D’Albora Marinas Rushcutter Bay (to the far east of The Rocks), which offers 107 wet berths, dock master assistance seven days a week, 24-hour diesel and premium unleaded fuel, personal care facilities, high security, on site marine services, and laundry service. This scenic suburb is well-known locally for its palatial residences, tree-lined streets, boutique shopping, and its luxuriant parks. For the boaters who also happen to be shopaholics (or are always looking for something exceptionally lovely to gift to someone special), than this community is likely to be your best bet for finding exactly what you are looking for. From designer clothing to bespoke hats, handmade jewelry to delicate lingerie, Double Bay merchants offer them all. After a morning of sailing and an afternoon of shopping, you will no doubt want something good to eat and somewhere shaded and quiet where you can eat and enjoy the views. You will find plenty of swanky restaurants in Double Bay that dish up all manner of delectable international fare, as well as a variety of quaint sidewalk cafes and even a few beer gardens. If you have something simpler in mind, pack a picnic and head to Redleaf Beach for a luncheon in the sand, or at Steyne Park or Blackburn Gardens to take advantage of their spectacular views. The small-community atmosphere extends into the water when you tie up at Double Bay Marina, which offers boaters 45 fixed berths and 20 moorings, as well as storage and boat management options. It has a slipway, care facility, and workshop, and you will find staff there to assist you 7 days a week (9am-6pm during the summer and 9am-5pm during the winter). If you are boating with the family (or if you just really love a beach community), than you should consider pulling into Mosman. Take the kids to the famous Taronga Zoo, home to over 4,000 animals. Afterwards, you can enjoy al fresco dining at Ormeggio at the Spit, tea and scones at Gunner’s Barracks, or a toothsome meal at The Bather’s Pavilion (housed in a 1920s’ building and serving modern European cuisine with a wine list of over 250 varieties), or any number of other cafes or wine bars. After enjoying a meal, take the exquisite walk from Bradley’s Head to Chowder Bay, sun yourself on Cobbler’s Beach, or head to the most popular beach — Balmoral Beach — for some excellent snorkeling. Before evening falls, be sure to saunter over to Headland Park for trails, cafes, and an unforgettable view. Clontark Marina, which features 18 floating marina berths, 59 protected swing moorings, a full service floating refueling facility, toilets and showers, car parking, marine services and trades and more. Fergusons Boatshed, which offers 52 floating marina berths, power and water hookups, grey waste and fuel services, and wheelchair access on all walkways. D’Albora Marinas the Spit, which supplies 160 berth marinas, kayak storage, 60 swing moorings, 24 hour fuel services, personal care and laundry facilities, high security, fine dining restaurant and casual café, and onsite marine services, among other things. Home of the SEA LIFE Sanctuary (an awe-inspiring aquarium that has been open since 1965), Manly is definitely for nature lovers, and it is one of the most popular locales for Sydneysiders and visiting boaters alike who crave the sun and waves. Some of the larger, more popular beaches in the area include Queenscliff Beach, North Steyne Beach, and Manly Beach, where surfing beginners can pick up a lesson or two from Manly Surf School or SEA Australia. Make the trek from Manly to Split Bridge, and be sure to get a look at the elevated bushland of North Head. This sleepy beach community has plenty of coastal trails to walk, or you can rent a bike to secluded coves and beaches such as Freshwater Beach, Little Manly Cove, or Collin’s Flat Beach. Walk, rollerblade, or cycle down Corso on the Styne promenade to enjoy shopping, pubs, and cafes, and be sure to meander through the weekend markets to stock up on locally-made wares. While you are there, you can tie up your boat in Davis Marina, which has been around since 1946. They provide 28 berths and over 50 swinging moorings, as well as boat repairs and maintenance on two slipways. Moorings can be accessed via a pick-up and drop-off pontoon, work berth, and dinghy pontoon. Sydney is a unique city, and certainly among the most beautiful in the world. From world-class culture and dining to irreplaceable local charm, its appeal reaches beyond its borders to every corner of the world. 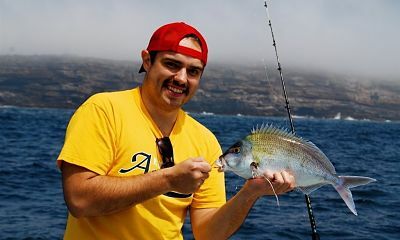 It is at the top of many boaters’ lists of where they want to go most, and when you take the time to see even a few of the many locales around the city, you will be more than convinced that its reputation is well-deserved.